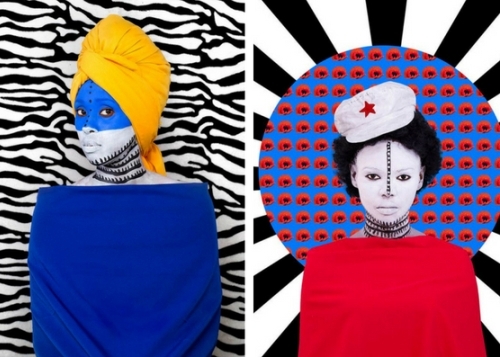 MULUNEH'S graphically colored photographs are instantly recognizable; bright and “African” by definition of symbols, patterns, motifs and adornment (cloth, jewelry, body paint). The primary and secondary colours mixed with black and white form part of her special ‘otherness’ that projects her images into a contemporary world. So here we are, 15 CAA newsletters down and sincerely hoping that you are still finding pleasure, interest and inspiration in these publications! It feels like I am always scrabbling to collect and collate the endless stream of news that comes swamping in concerning “what’s happening” in the contemporary African art world. But isn’t that just the most marvelous thing? 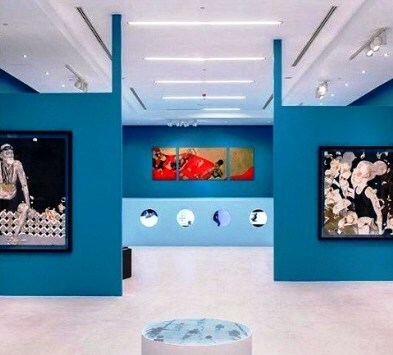 That the contemporary art scene in Africa is so dynamic, so vibrant and self motivated, so driven by her artists' desires to create that we have an endless source of incredible content to motivate me and I trust, YOU.. most valued subscriber. 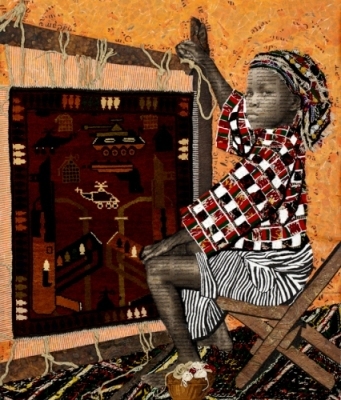 Zangewa, of Malawian and South African descent, is definitely the artist of the moment. 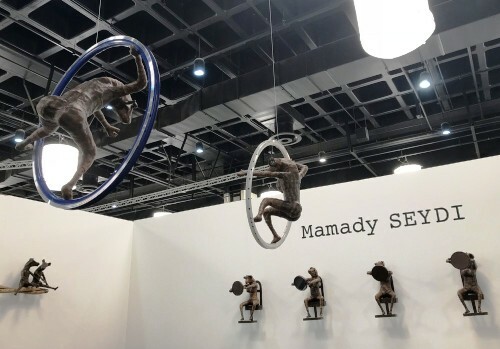 Besides winning the FNB Joburg Artfair's special 'featured artist' spot, her work is currently being presented throughout the world in various other shows and exhibitions. She works primarily with raw silk offcuts. 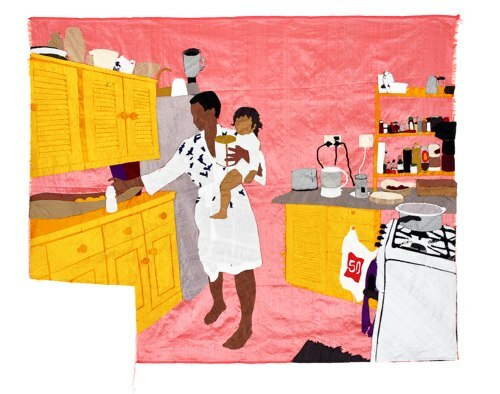 Her tapestries allow us to think carefully about domestic and social issues. They are quietly confrontational and seem to connect simply but deeply to a wide audience. 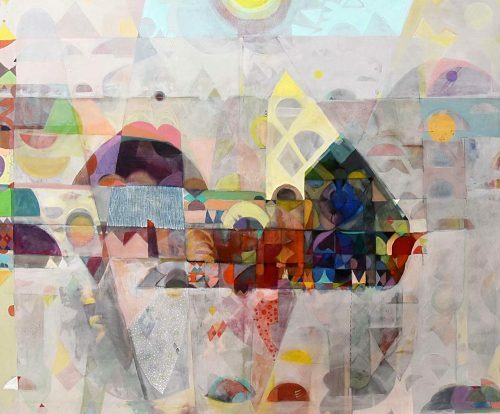 With her thought provoking work she brings universal themes and struggles to light. The 11th FNB Johannesburg Art Fair 2018 was by all accounts a resounding success with much to enjoy: Stimulating discussions, enlightening lectures and art literally occupying stands from floor to ceiling throughout the halls. This year the curatorship fell under newcomer Amy Ellenbogen who brought with her a wealth of talent, enthusiasm and experience from all sides of the art world. The talks program was curated by Kabelo Malatsie. 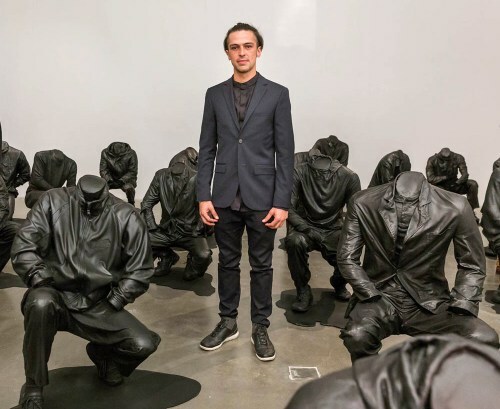 Winner of the FNB Art Prize for 2018, artist and activist HAROON GUNN-SALIE presented a harrowing installation – a development of his ongoing Senzenina project – as his featured booth. 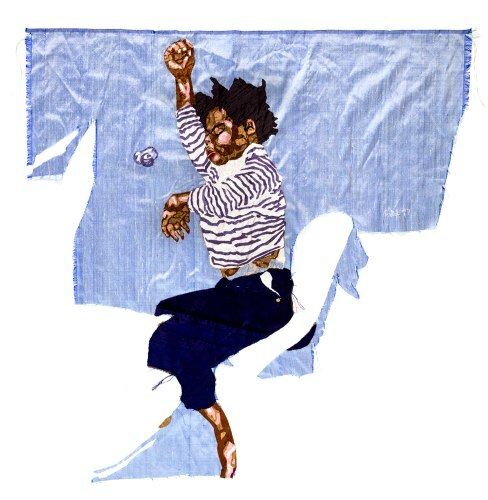 Find a link below in 'articles worth reading' at the bottom of the newsletter to find out more about this intriguing artist. 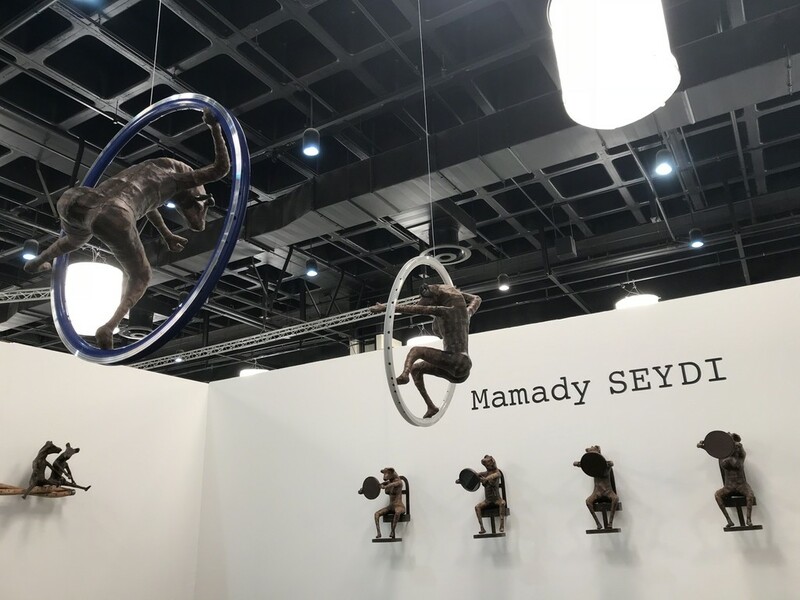 Having come across Mamady Seydi in Dakar at the Senegal pavilion, DakArt 2018 it was very gratifying to see him appear in southern climes. 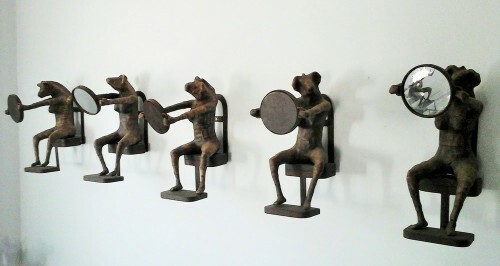 In a sophisticated arrangement his small figurines of hybrid human animal forms either swung from the ceiling in circular forms or were pinned up against the wall, allowing for both freedom of expression for the artist and close viewing for the public. 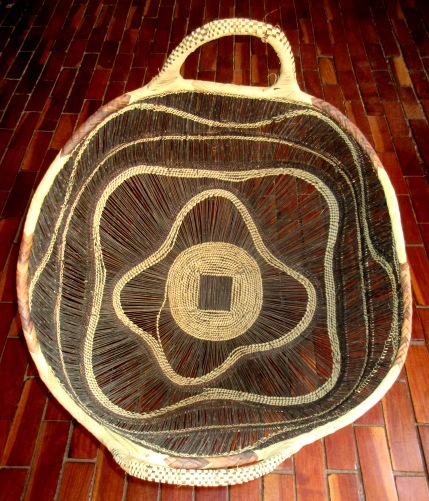 His works are a combination of metal, sackcloth and wood. His work crosses between reality and a dream like state. Motifs are familiar but jumbled, colors are jewel like, or sometimes soft and wistful... they can be combined in a single piece. The paint can be thick and impasto-like or finely detailed and precise. The total effect of this is to produce a lyrical effect and a painting that is somewhat spiritual in nature and feeling. They manage to speak across boundaries and borders. 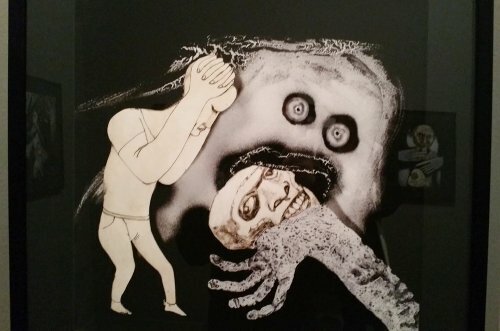 His jarring, distorted and somewhat frightening black and white art works increasingly include illustration and drawing along with photography. His latest project seen at the fair is a collaboration with the Dutchman Hans Lemmen and is fittingly called ‘Unleashed’… his disturbing images lead the viewer down all sorts of paths of horror, sorrow and hell! Strong imagery from this young man from Botswana who manages to portray subject, light and form captured in one arresting shot. Everything is important, everything is balanced and while the meaning is not always immediately apparent, one is aware that every part of the photo counts… there is nothing there that shouldn’t be. 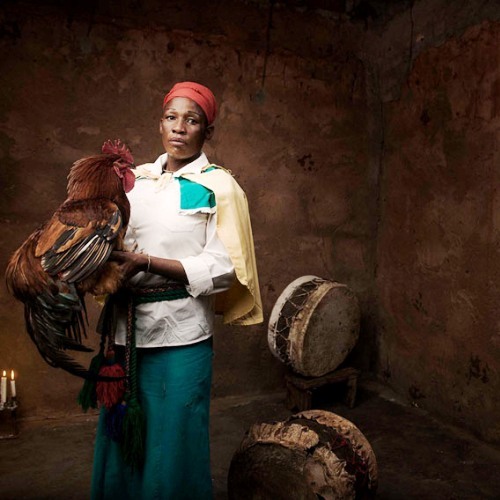 Represented by ‘Guns&Rain ‘ Gallery, Johannesburg they said this about their artist.. “Leipego’s evocative images shed new light on the personal histories and spirituality of Botswana’s rural communities". 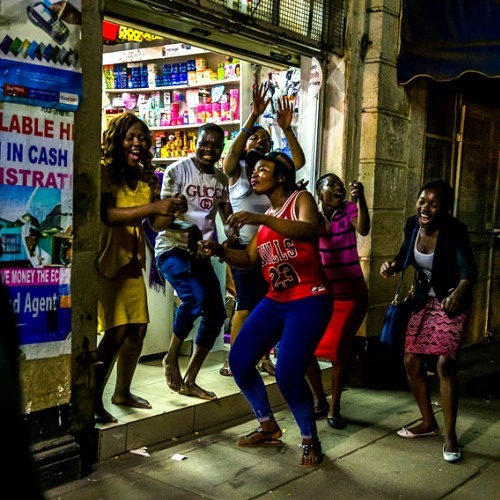 One of a number of talented Zimbabwean photographers brought by the National Gallery to the Fair, this image beautifully captures the joy of a moment. 'To have is to hold'... an instant in time worth keeping, worth viewing again and again. Beautiful light spills out from the shop onto the pavement along with the young people who are undeniably celebrating a really good feeling. ROAD TRIP - Changing scene completely! Recently I found myself in Zambia chasing down some Tonga baskets for a special order. 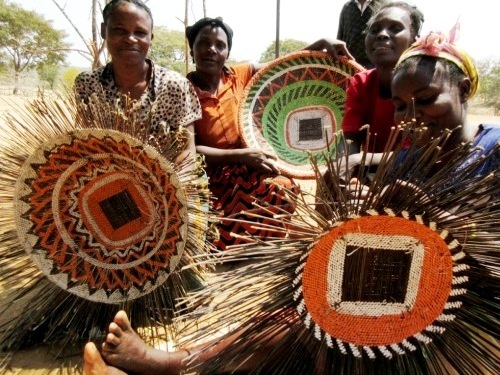 This is a sample of the type of beautiful product assisted women’s groups produce in various locations throughout Southern Zambia. Imagine my delight when I found these ladies producing these incredible baskets on the side of the road in the middle of nowhere. 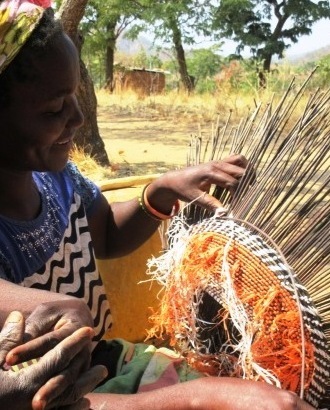 Using knowledge and skills passed on from 2 generations of female basket makers before them they have applied their expertise to weaving with the only fibre available… unraveled plastic sacks in green, orange and white! 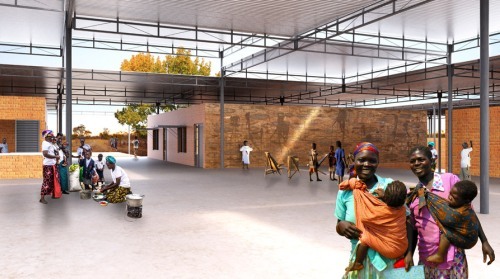 I had also read previously about a school being built in Southern Zambia whose design and project had won this prominent prize for their project encompassing architectural design, furniture and wall murals. 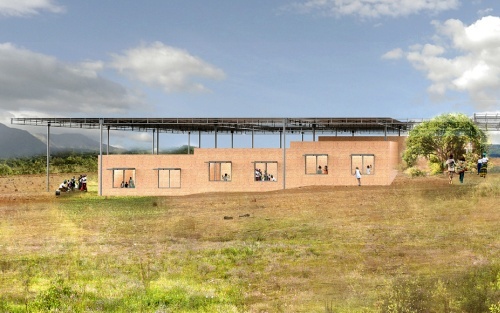 Here is Mwabwnido Primary School being built. The school intends to be open by the end of 2018 and art classes are intended to feature strongly in the curriculum. Part of the scheme is a mural that is to be painted in collaboration with USA artist Rashid Johnson and the art students at the school. Love the concept and very much look forward to seeing the end result from this talented artist and his young team! This artist is literally everywhere, a hugely energetic person he is dedicated to art and can be found climbing mountains to promote and fund raise and give back wherever he can. Johnson is often abstract. "He loves to use burnt wooden flooring and shelves that he constructs in his studio. He makes marks with black soap as it hardens against a white background. 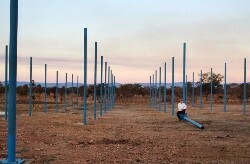 He uses plants and adds photographs that he repeats so many times that they morph into something new”. 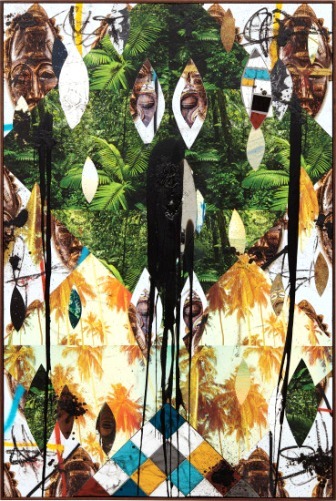 The addition of African masks to his pieces gives a nod to his heritage and I’m sure his mural co-assistants in Zambia will connect with this part of his work. Born in 1985 in Lome, Togo, Fadugba has an impressive academic background majoring in engineering and economics from two American institutions. 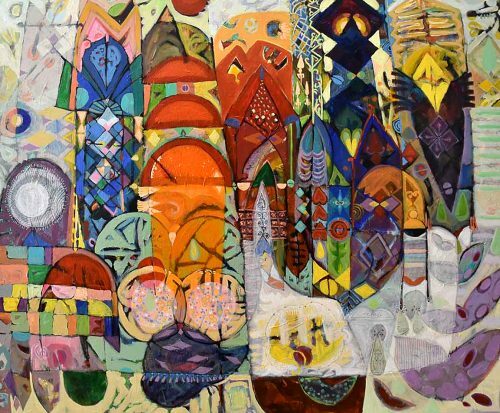 These days Fadugba lives in Abuja, Nigeria and has turned her skills to painting and the arts. Following a residency at the International Studio and Curatorial Program (ISCP) in New York, the artwork on this exhibition explore the social history of swimming pools in Harlem, USA. 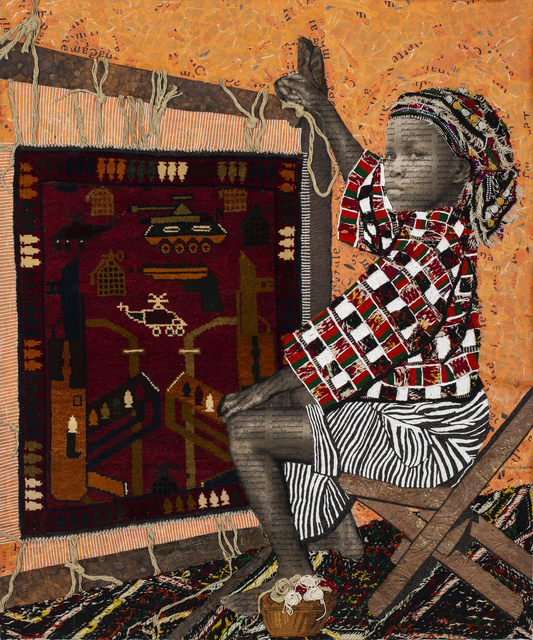 The 1-54 Contemporary African Art Fair will host 43 galleries from 21 countries and over 130 artists from 33 nations will present their work. A captivating mix of exhibits and events will bring the art world together for 4 days of discovery and stimulation. 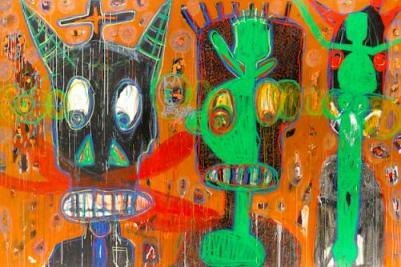 This artist has been compared to both Goya and Basquiat for his ability to fuse despair and anger with vigorous energy. 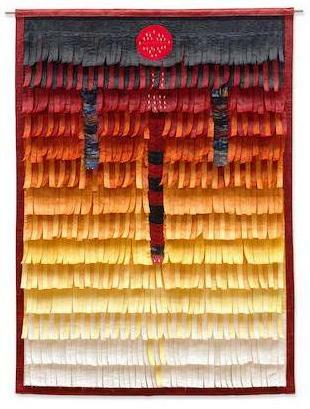 Konate is no stranger to the auction art world, this is a beautiful example of his particular style of contemporary textiles. Haroon Gunn-Salie, in his own words, on how Cape Town made him an artist and how he makes art in Cape Town, for Molo.